Check out the historic lift spanning bridge, stay in ultra-luxury, experience an award winning guided walk or sample a truly local brew. Click on the map above for directions to Paringa. Head south-east from Renmark and you’ll find the small town of Paringa, named after an Aboriginal word meaning ‘big bend in the river’. Start at the historic lifting span bridge, officially opened in 1927, which rises twice daily for river traffic. Take a stroll through the Paringa Paddock Nature Walk where you may see a koala or two in the treetops. Bert Dix Park is a great spot to fish, relax and enjoy a picnic on the river, or relax on the lawns overlooking the working Lock 5. The multi- award winning Frames Luxury Accommodation offers three opulent and private villas, built overlooking the Murray River. Designed to help couples rejuvenate and relax, each villa has its own private pool, spa and balcony with unobstructed views of the Murray River. The ulimate in six star luxury. Visit the Renmark Paringa Community Museum, which displays a number of small and large stationary engines, old farm machinery, tractors, static displays and various items of rural significance. Stop in and browse through the wonderful collection on offer at Cammies Antiques & Collectables. Meet Stephen Everingham, the resident artist at the Goanna Hill Gallery. Drawn to paint from a creative conviction and purpose, and inspired by the spectacular uniqueness of the surrounding dry lands and riverscape areas, the fauna and flora and the labyrinth of the pioneering historical significance. Wilkadene Woolshed Brewery is located 15 kilometres out of Paringa. It is the home of the local beer ‘Amazon Ale’, named after the stunning Amazon Creek, just one-kilometre upstream from the historic Wilkadene Homestead. Take some time out to sample the range of craft beers, ciders and the famous hard lemonade. Purchase some local produce and enjoy on the sun drenched deck which overlooks the pristine river frontage. From Paringa, take Murtho Road to Headings Cliff Lookout, where you can admire stunning river views and golden limestone cliffs. Canoe the Riverland are also based in Paringa. You can either hire canoes and kayaks, or be guided on one of their tours. 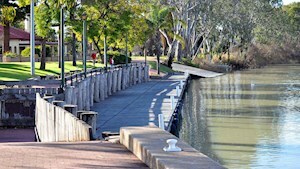 They also offer guided dinghy tours through the Murray River back waters. Several houseboat fleets await your booking, offering access to some of the most beautiful and remote sections of the River Murray. Slightly further on you’ll come to the historic port of Customs House (32 kilometres from Paringa), which is the closest point to the SA, VIC and NSW border and is home to a great bush wetland walk. Customs House is a popular spot to visit in a houseboat. 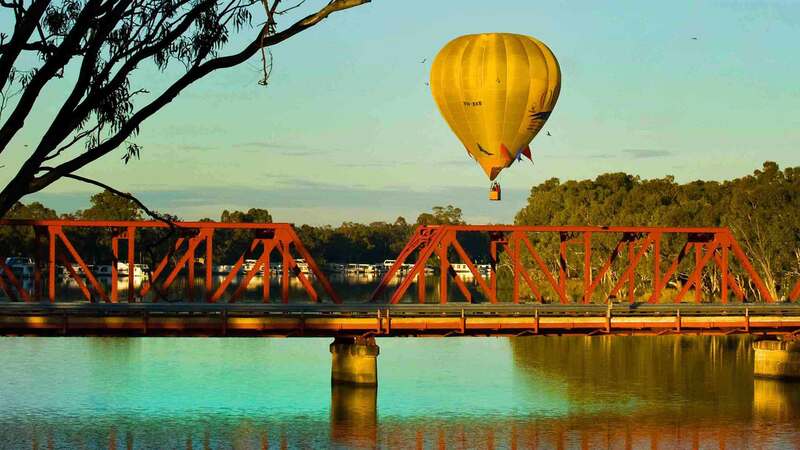 From here you can explore the upper reaches of the Murray River in South Australia and even cross the border into New South Wales and Victoria.